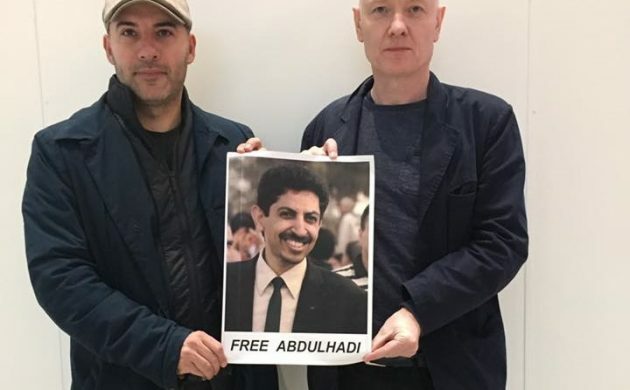 Bahraini Security authorities Wednesday held at Manama international airport a Danish lawmaker who was seeking to meet Abdulhadi al-Khawaja, a Bahraini activist sentenced to life imprisonment in 2011 for conspiring against the state, AFP reports. Lars Aslan Rasmussen, a social democrat lawmaker in the Danish parliament was held for hours at the airport upon arrival as he sought to visit al-Khawaja who also holds Danish nationality. Aslan Rasmussen according to the Danish foreign ministry was held at Bahrain international airport, waiting to leave the small Gulf monarchy. The lawmaker tweeted that he was held for five hours at airport and that the police seized his passport. “It’s obviously too dangerous for a Danish MP to visit another Danish citizen in prison. What are they hiding?” he protested. Aslan Rasmussen was accompanied by Irish activist Brian Dooley of the Gulf Center for Human Rights (GCHR), a right group founded by al-Khawaja. Dooley too was denied entry. Both held in a facebook post photo of the activist with the inscription “Free Abdulhadi”, AFP said. Khawaja was seriously ill, Aslan Rasmussen noted. “We are here to pressure the authorities and to show that we will not forget Khawaja,” he added. Khawaja has been locked up for conspiring with the Shia protestors to overthrow the Sunni royal regime, which controls the Shia-majority Gulf nation. Written by: KanelkaTagba on April 5, 2018. Posted by KanelkaTagba on Apr 5 2018. Filed under Gulf News, Headlines. You can follow any responses to this entry through the RSS 2.0. Both comments and pings are currently closed.